Atrixo Enriched Moisturising Cream is formulated to give your visibly softer and smoother hands. This rich, moisturizing cream is absorbed quickly and hydrates your skin effectively so that you hands look smooth and beautiful. The cream is for external use and topical application only. Do not apply on broken or inflamed skin. Store the pack in a cool and dry place and away from the reach of children. Always read all instructions and product labels carefully before use. The formulation is intended for use as a hand cream to keep your hands moisturized, smooth and soft throughout the day. It is dermatologically tested, hypoallergenic and enriched with moisturizers. Your hands work hard throughout the day and this leaves them exposed to a host of harsh and adverse conditions. Over time, they become dry, rough and coarse to look at. 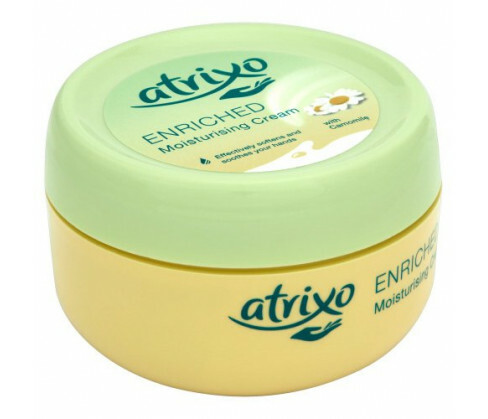 Regular application of Atrixo Enriched Moisturising Cream makes your hands soft and smooth once again. To use, apply on clean and dry hands whenever they feely excessively taut and dry. 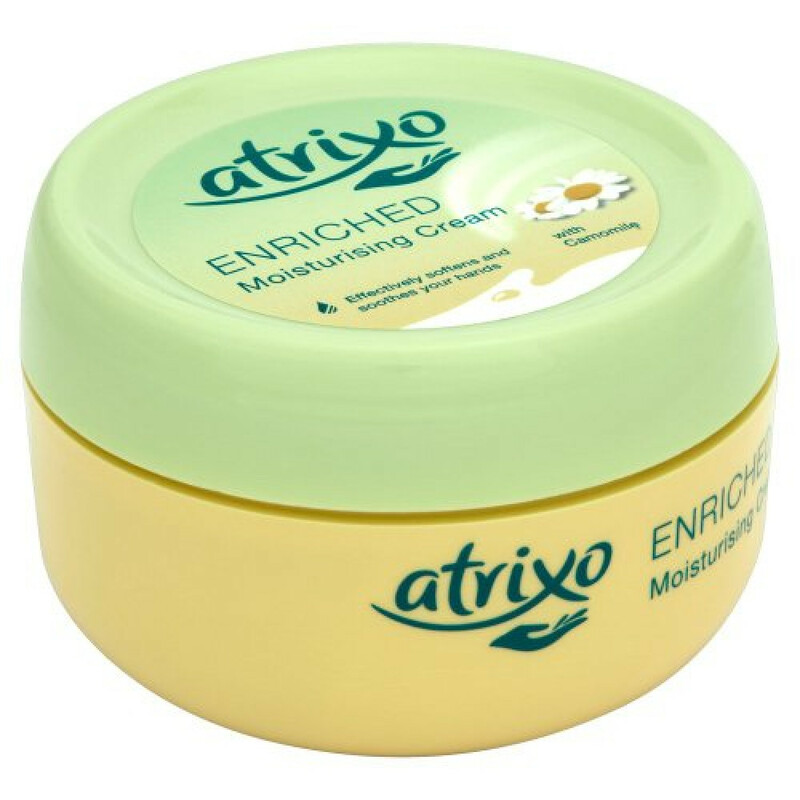 Atrixo Enriched Moisturising Cream contains Aqua, Myristyl Alcohol, Cetyl Alcohol, Trilaureth-4 Phosphate, Glycerine, Cera Microcristallina, Octyldodecanol, Sorbitan Stearate, Dimethicone, Citric Acid, Chamomilla Recutita Flower Extract, Caprylic/Capric Triglyceride, Sodium Citrate, Isopropyl Palmitate, Methylparaben, Phenoxyethanol, Linalool, Paraffinum Liquidum, Citronellol, Limonene, Parfum , Alpha-Isomethyl Ionone and Eugenol.